I have really enjoyed a late Autumn sunny day out in the man cave today. The best part of what I love to do is making something new from stuff which has already had a life. As I posted on Instagram, I took something from that to this. In this case that was an old veranda step, or a step for a conservatory. I’ve stripped the rubber runner off and checked for nails before getting the saw out and working up a bit of heat in the cool afternoon sun. 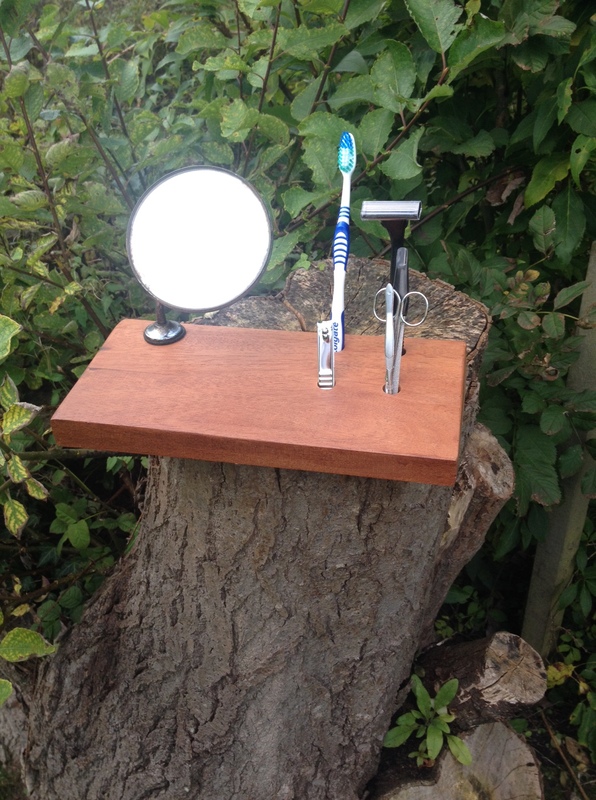 Then after some TLC and a bit of sanding, planing and work then two lovely “Gents Grooming sets”started to appear. 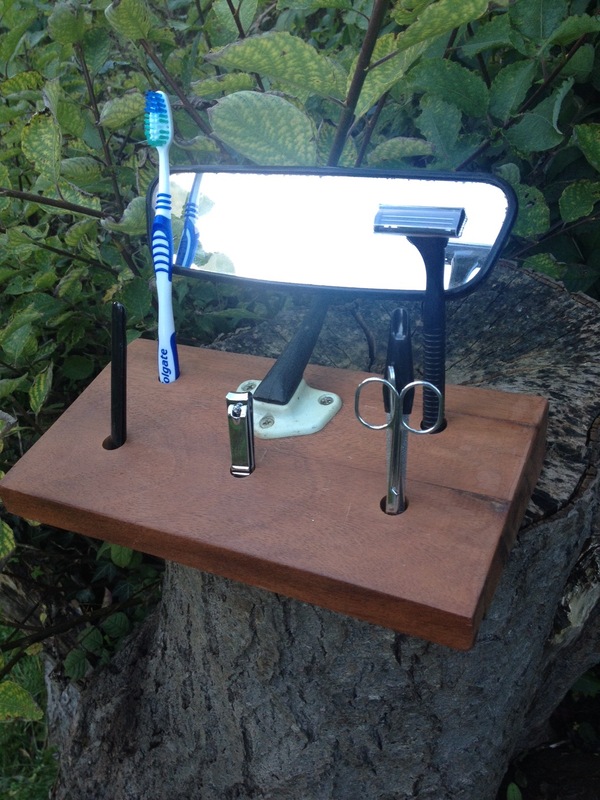 As you can see with the first, it’s a 1970’s rear view mirror which will provide all the reflection for whoever uses the grooming services that the set provides. 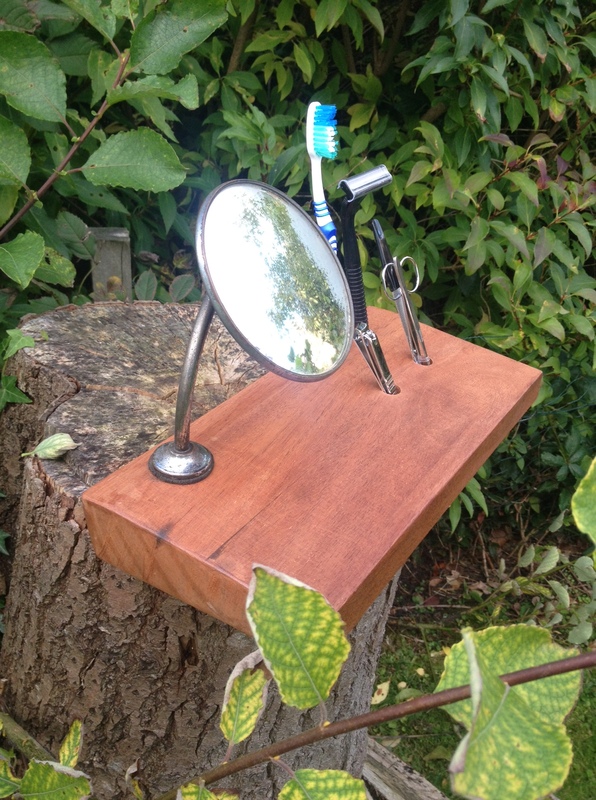 Whilst with the second I got the mirror from a bloke in a field at an auto-jumble. 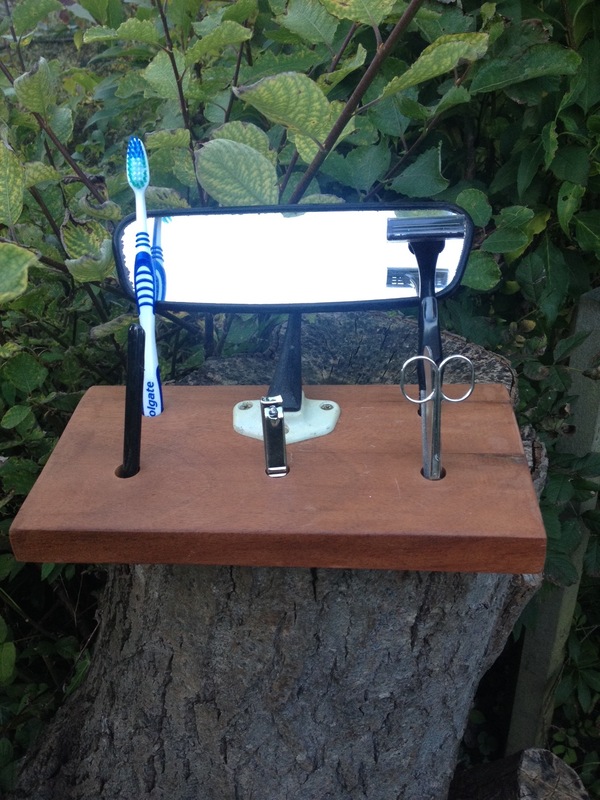 It’s from a 1960’s Morris Minor and has a lovely curved stem and universal joint to aid precision in the mirror. 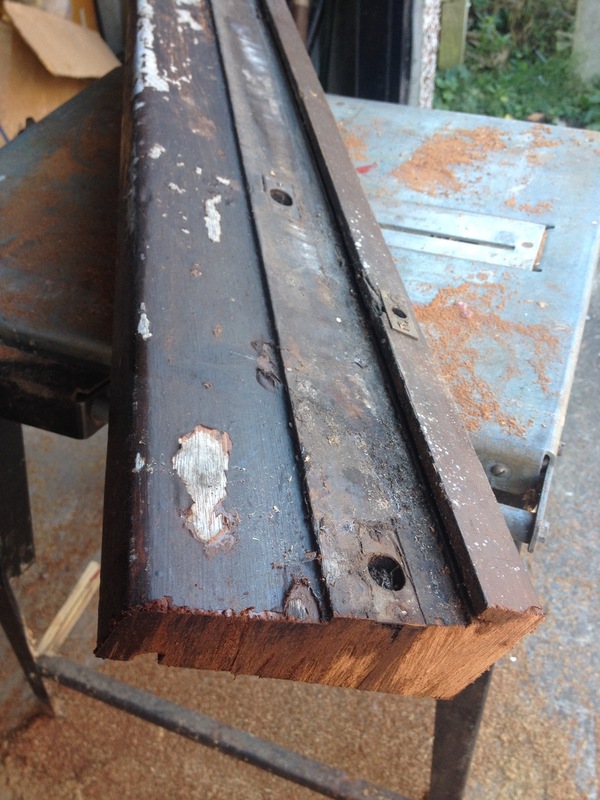 It’s also got an aged patina and misting to the glass and a pure age texture to the metalwork. It’s my favourite and one most likely to stay in my collection that I’ve made in a while! Have a great week – there will be more from the man cave as I’ve got a couple of free days later in the week. Hugh, Pew, Barley, McGrew, Cuthbert, Dibble,…..
I’ve had some fun in the garage today. A 1930/40’s John Morris & Sons Fire Extinguisher found its way into the man cave. After some fettling I got inside it without breaking the glass acid ampule, got it emptied and then started to plan…..
Over time the plan got some legs……. In the end I’m delighted with how it’s turned out.